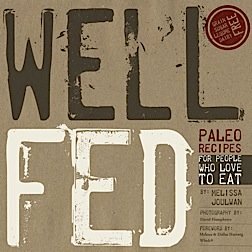 This recipe from Well Fed: Paleo Recipes for People Who Love to Eat goes to show that Caveman-style cookbooks are a great addition to any kitchen that favors meat. It’s easy to find sides to pair with classic roasts like Char Sui, and this can even make a great base for developing Asian fusion flavors. 1. Cut the pork into 8 strips, first slicing it in half lengthwise. Then divide each half into 4 strips of equal size, and trim them of excess fat. Use a sturdy fork to poke holes in each strip, puncturing each one at least 10 times. 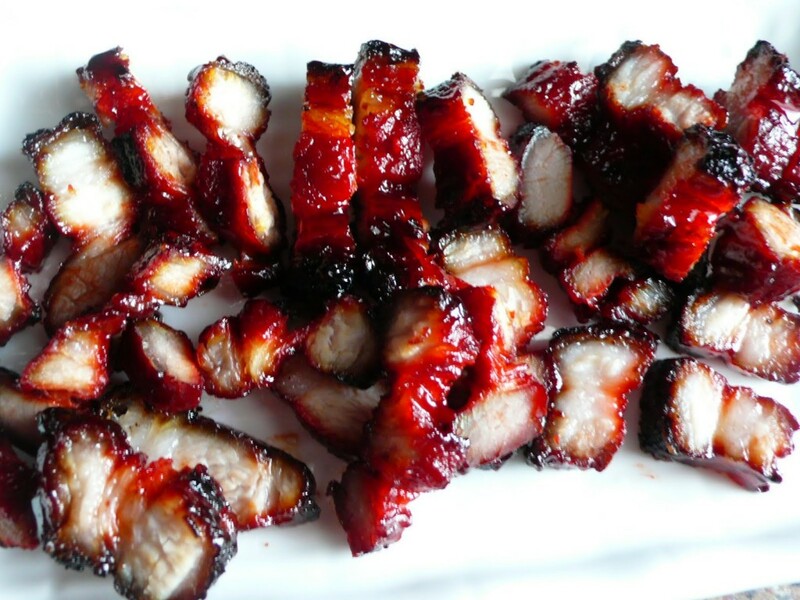 Transfer the pork to a large zippered plastic bag in preparation for the marinade. 2. Blend the marinade before adding it to the pork. In a food processor, combine coconut aminos, the dried date, chopped garlic, 1/4 cup applesauce, 1 tsp. rice vinegar, almond butter, sesame oil, crushed red pepper, ground ginger, five-spice blend, and black pepper. Remove 1/2 cup to use in the glaze. Add the remaining marinade to the zippered plastic bag, and ensure the meat is well coated. Remove as much as possible before sealing the bag and setting it in the fridge for 30 minutes to 4 hours. Flip a few times while the pork rests. 3. Make the glaze by heating the reserved marinade, tomato paste, applesauce, and rice vinegar in a small saucepan. Stir frequently with a wooden spoon. It’ll take about 4–6 minutes over medium heat for the sauce to thicken. 4. Preheat the oven to 300°F. Prepare a large rimmed baking sheet by lining it with aluminum foil. Set a wire rack on top, and pour 1/4 cup water into the pan. Place the pork on the rack, and cover the whole pan with foil. Pinch it at the edges to form a good seal, and then roast the pork for 20 minutes. Remove the foil before continuing to roast for 40–45 minutes. 5. Bump the oven temp up to 500°F, and leave the pork to roast for 8–12 minutes, keeping a watchful eye on it until the meat is perfectly browned. Remove the pan from the oven, and use half the glaze to brush the pork. Place the pork back in the oven for 6–8 minutes. Flip it, brush the other side with sauce, and roast for a final 6–8 minutes. 6. After removing the meat from the oven, let it rest for 10 minutes, and then slice it crosswise about a half-inch thick.